Does your brand’s logo communicate what you do? Or was it created in Microsoft Word by an employee? Your brand’s logo shouldn’t be an afterthought. Your logo is meant to tell people what you do, who you are, and can build trust and reputation with potential, current, and past clients. We can help develop a unique logo sourced from multiple artists. You'll receive 5 compositions of 5 different logos from 5 different artists. 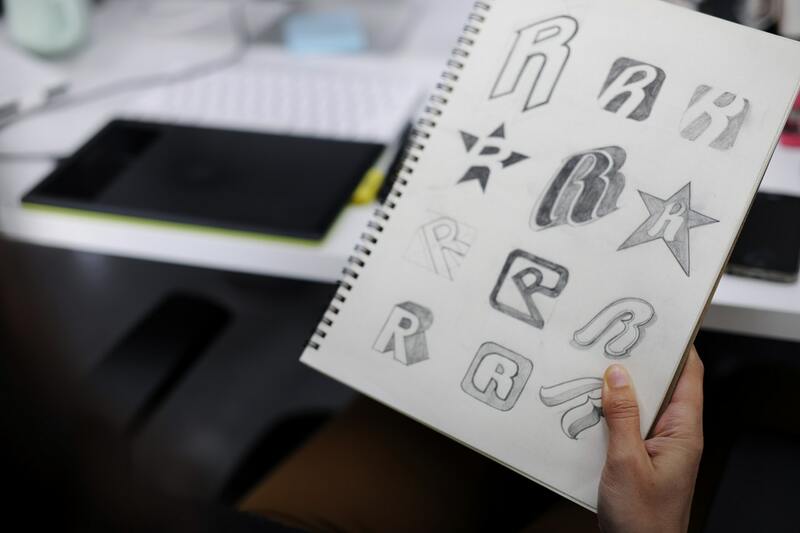 From there, you will be able to pick a logo that speaks to you (and request up to 3 revisions). In the end, you'll receive a logo that represents your company’s vision and mission – setting you apart from the competition. When it comes time to build your website, it’s important to have a strong brand. Your logo and branding help determine the colors, font, and feel of your entire website. In our technology-driven society, a business’ website is often the first exposure potential customers have to a business. Often it is the first place people go to learn about a company or to make purchases. So, it is crucial that the company behind the website is crystal clear. Otherwise, people will easily forget what site they are visiting. The best logos are created with your brand’s identity in mind. When you go through one of our discovery sessions, we get a great idea of who your business is, what your goals are and who your customers are. What is a Crowd Sourced Design? With a crowd sourced design you're able to receive dozens of logo concepts from talented creatives. We'll take you through a creative brief so designers know exactly what you're looking for. We manage the competition, review concepts, provide feedback and work with you to get you the logo you've been dreaming of.